Simple, scalable, on-demand and reliable network attached storage for use with ECS instances, HPC and Container Service. Alibaba Cloud Network Attached Storage (NAS) is a file storage service for Alibaba Cloud ECS instances, Alibaba Cloud E-HPC and Container Service. It provides standard file access protocols, so you do not have to modify existing applications. This enables you to have a distributed file system with unlimited capacity and performance scaling, with a single namespace, multi-party sharing, high reliability, and high availability. Based on RoCE and NVMe SSDs, NAS reduces network latency and provides high performance. Maintains multiple data replicas and a data reliability of 99.999999999%. NAS is more reliable than traditional RAID arrays. Avoids single points of failure and maintains a data availability of 99.9%. The maximum capacity of a file system can reach 10 PB. Each file system can store a maximum of 1 billion files, and the maximum file size is 32 TB. Storage scales automatically and is billed accordingly. This is a fully hosted solution that needs no upfront cost. Supports POSIX interfaces. No modifications need to be made to your applications. Supports standard POSIX interfaces. Both Windows and Linux applications can use this service without any modifications. You can mount the file system on ECS compute nodes. This allows you to perform file operations as if the files were locally stored. 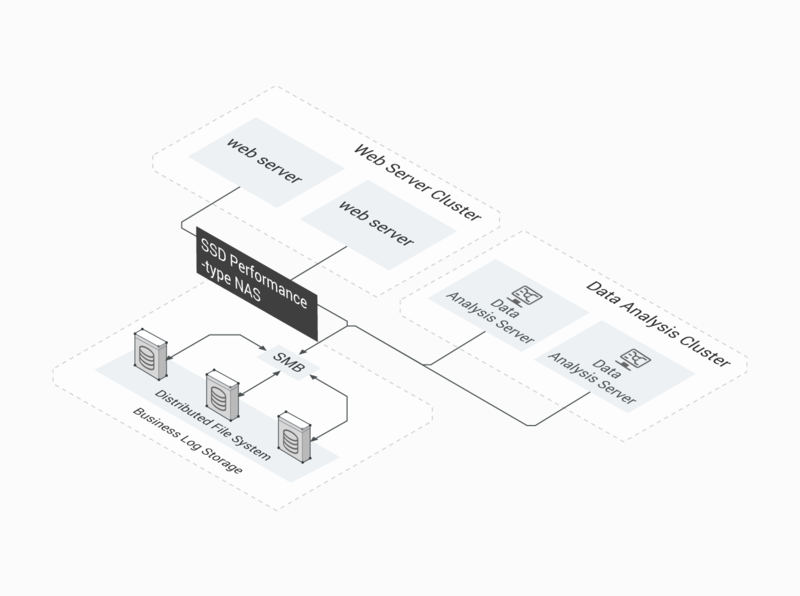 Supports standard NFS and SMB protocols. Both Windows and Linux applications can use this service. Supports the NFSv3 and NFSv4 protocols and provides standard file system semantics for data access. Most mainstream applications and tasks can be seamlessly integrated with the service without any modifications. Supports the SMBv2.0, SMBv2.1, and SMBv3.0 protocols. Supports the applications that are deployed on Windows Vista, Windows Server 2008 and later versions. Mechanisms such as account authorization, VPC, and security groups ensure your data security. Multiple security mechanisms are implemented to guarantee system data security, including network isolation (VPC) and user isolation (classic network), standard access control, permission groups, and account authorization. Supports classic network and VPC, and allows access from remote data centers. 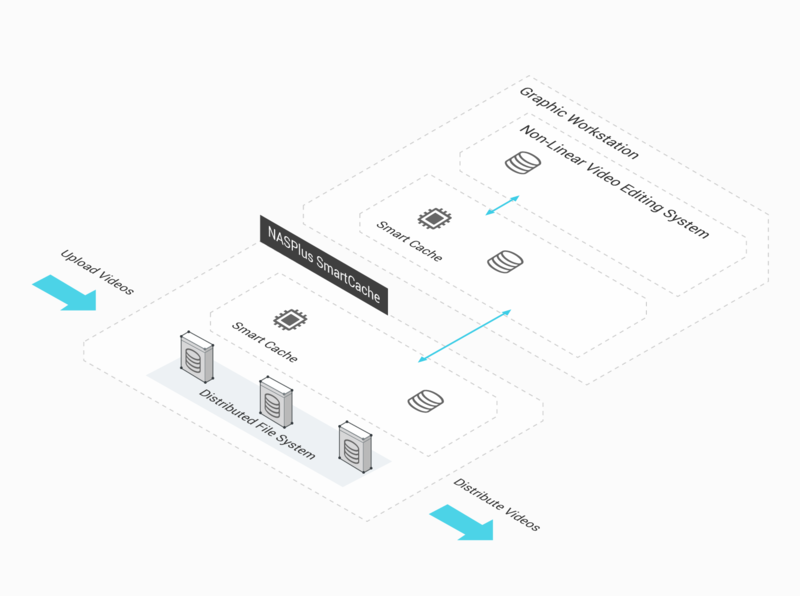 Multiple compute nodes can simultaneously access the same file system, allowing applications deployed across multiple ECS instances, E-HPC or Docker clusters to access the same data source. The NAS file system can be deployed in a classic network or a VPC. You can also access the file system from remote data centers through leased lines or VPN. Supports access from different zones. 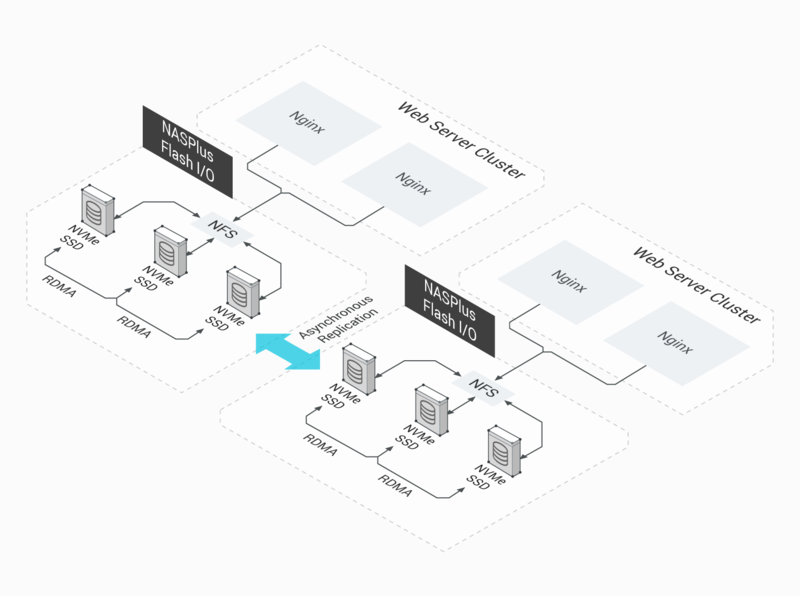 Your ECS instance and NAS file system can be deployed in different zones. Alibaba Cloud NAS has many advantages over a self-built NAS on the cloud and conventional NAS products. The throughput capacity is horizontally scalable and has a linear relationship with the storage volume. Low throughput which cannot be horizontally scaled. High-end NAS storage devices and a large volume of hardware are required. Supports end-to-end permission management Only supports protocol-level permission management. Supports end-to-end permission management. Alibaba Cloud NAS is available for use immediately after simple creation, mount and other operations, and can be seamlessly integrated with other Alibaba Cloud products. Self-built NAS on the cloud requires investments in establishing and maintaining file servers, which can be a complicated process. Conventional NAS requires manual management of numerous resources including hardware, storage pools, file systems and protocols. It requires complicated and error-prone operations for a service to use the NAS. Alibaba Cloud NAS supports both Pay-As-You-Go and Subscription storage packages and charges fees fully based on the storage volume, without other costs. Disks of self-built NAS on the cloud do not support Pay-As-You-Go payment options (you need to plan and pay for the maximum usage in advance). Additional server and maintenance costs are also required. Hardware is offered in whole sets regardless of the actual usage, and a large amount of hardware O&M costs are required. 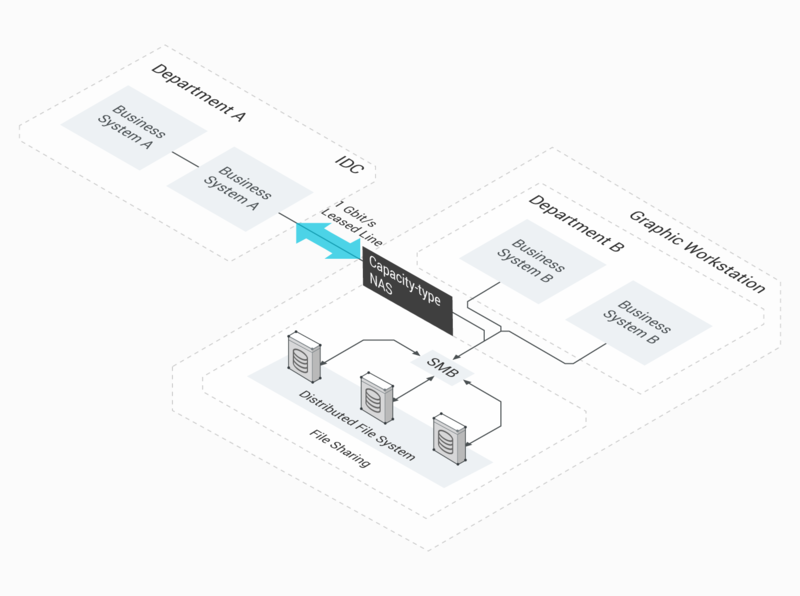 Business system A is deployed in a local data center while business system B is deployed on the cloud. The business data generated by business system A needs to be uploaded to the cloud and used as the input for business system B. Every day 8 TB of data needs to be uploaded. The standard NAS provides elastic storage capacity based on the actual business need. The same NAS file system is mounted on both business system A and B to allow file sharing. The local data center is connected to Alibaba Cloud through 1 GB leased lines. The data generated by business system A can be uploaded to the cloud smoothly. The local data center no longer needs to upgrade storage capacity. Local data is elastically uploaded to and stored on the cloud. Because of the rapid business growth, the logs that are generated every day can fill up the 2 TB disk. Therefore, it is necessary to migrate disk data and expand disk capacity. Data migration causes service interruptions and makes it difficult to perform data analysis. Using the performance NAS, hundreds of Web servers can write the business logs into the shared file system without capacity limits. The same file system is mounted on multiple data analysis clusters to perform dynamic analysis. Log migration is no longer needed. Dynamic data analysis is supported. The client can obtain the results of data analysis in 10 minutes, instead of waiting 24 hours. The news station needs to publish current news and simplify the processes of video recording, editing, and uploading to improve efficiency. The NAS Plus Smart Cache provides a maximum throughput of 160 Gbit/s and allows 16 graphic workstations (GWSs) to work simultaneously. Each GWS can support editing 20 tracks of 4K videos at a time. Graphic Workstation provides professional video editing and processing capability. Each GWS can combine with professional NLE software to edit 20 tracks of 4K videos at a time and reaches a throughput of 10 Gbit/s. The cloud-based NLE system simplifies the video production process and enables news videos to be published within an hour. The cloud resources are billed per usage. This reduces the TCO by 60%. As the business keeps growing, tens of millions of small files such as images, audio files, and logs need to be transmitted through the mobile app. The number of daily active users has exceeded one million and is estimated to reach ten million in the next six months. The business requires disaster recovery across multiple zones and regions. NAS Plus Extreme IO is based on RDMA and NVMe SSD, and provides stable read and write ability that maintains 1M IOPS and a latency of 500 µs. Provides a disaster recovery service across multiple zones and regions. Tens of millions of small files can be smoothly uploaded or downloaded every day. Achieves high availability and disaster recovery through asynchronous data replication. DNA sequencing involves the explosive growth of demands for cloud resources. The system needs to reduce the time of each individual sequencing run from 5 hours to 2 hours or less and process more than 1 PB of data in each individual project. 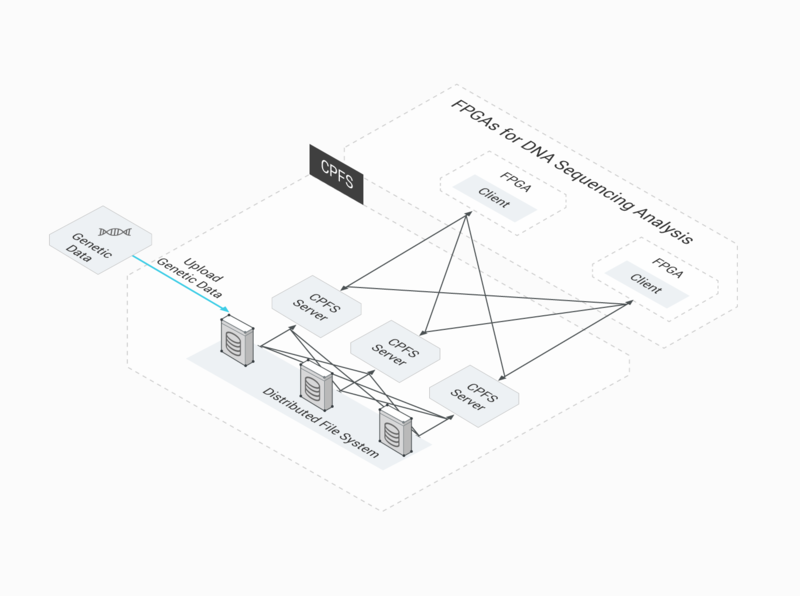 Cloud Parallel File System provides a maximum throughput of 1 Tbit/s and a capacity of 100 PB.This meets the storage needs of a large DNA sequencing program. FPGA provides computing power that is optimized for DNA sequencing. The business process now takes only 1.5 hours instead of 5 hours to finish. The cloud resources are only billed per usage, and the TCO is reduced by 70%.